14 ounce capacity. Great looking and durable. 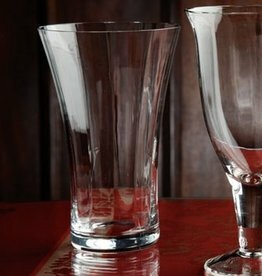 Fabulous for wedding registries, or updating your mis-matched collection of everyday glassware. Optic Double Old Fashion - 14 Oz. Casafina Optic Wine Stem - 8 Oz. Optic Wine Stem - 8 Oz. Great looking and durable. Fabulous for wedding registries, or updating your mis-matched collection of everyday glassware. Optic Water Stem - 16 Oz. Optic Tumbler/Highball - 14 Oz.